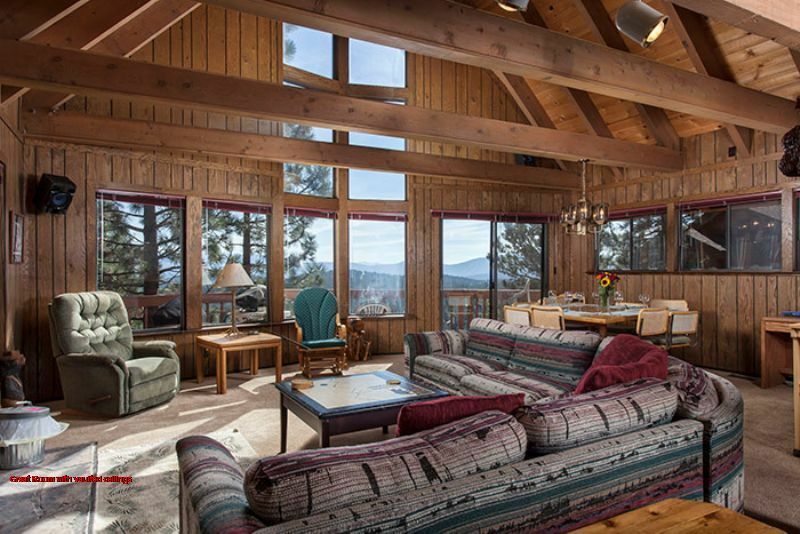 Located on Pinnacle Loop, this home has wonderful views of the mountains and is just minutes from Truckee and a short drive to all the major North Shore area ski resorts, Donner Lake, and Lake Tahoe. This modest but clean and comfy home will sleep 9 people maximum. There is a walkway with stairs that lead you down to the covered front door. Full kitchen with plenty of counter space and kitchen bar for sitting. Living room has a wood burning stove, wrap around couch and lots of light. There is flat parking for 4 - 5 cars, No garage. For Guests who are bringing a dog, extra fee (Pet Fee) is collected in the amount of $125.00 for one dog or $225.00 for two dogs. HolliHouse International is a listing and reservation service for second home properties across the US. We help owners get the most out their HomeAway rentals with dynamic pricing and help guests throughout their reservation from initial booking through checkout. Guest can book a property knowing that it is verified. Funds are not released to an owner until Guests have successfully completed their stay assuring both Guest and Owner of a guaranteed transaction. We loved the big parking pad and the large, comfortable living room. Of course, it was particularly convenient for us because it is right next to our family cabin, making travel to and fro easy as pumpkin pie. The Pullen people were helpful and friendly, and made the whole process easy. We just got back spending a week in this lovely house in Tahoe Donner! The house is extremely well equipped - complete with a slow cooker and George Foreman grill! I can highly recommend this house! Great location! If you have two families traveling together with more than 6 kids, this is the house to be. The loft and the bunk beds are definitely kids's favor. But to a mother, it's such a disappointment, kitchen needs to be fully updated, stove and cabins are so outdated and old, cooking pots are worst than you find in good will, we had to eat out every night because the toxic concern. Bathroom is in decent condition. Follow I-80 to Truckee, and take exit #184 for Donner Pass Rd. If traveling eastbound on I-80, go left at the end of the exit ramp, continuing east on Donner Pass Rd/Coldstream Rd, and over the highway; if traveling westbound on I-80, go right at the end of the exit ramp. Go about 1/2 mile on Donner Pass Rd, and turn left at the first light onto Northwoods Blvd. At the flashing light and stop sign, continue straight through on Northwoods Blvd. Continue up about 2.5 miles up from the flashing light and stop sign, and turn right on Fjord- there will will be a sign for Hwy 89. Turn left on Alder Creek. Turn right on Wolfgang. Turn right on Parsenn. Turn right on Pinnacle Loop. The home is on the right side.